Thanks for your comments on my last post about potentially reconsolidating my student loans in order to qualify for Public Service Loan Forgiveness (PSLF). I read all your comments, thought it over, and decided that ultimately you guys are right (you’re always right!). It doesn’t make sense to try to fix a short-term problem by making major long-term changes. I don’t want a higher interest rate. I don’t want to be locked into stringent terms and criteria. I don’t want to feel the stress that the program could disappear or be discontinued and I’d be stuck with this boat-load of debt (even higher at that point, given the higher APR). In fact, when mulling it over, really there were two things about the program that appealed to me most: (1) locking in a lower monthly payment, and (2) having a definitive “end date” for when the student loans would be GONE! 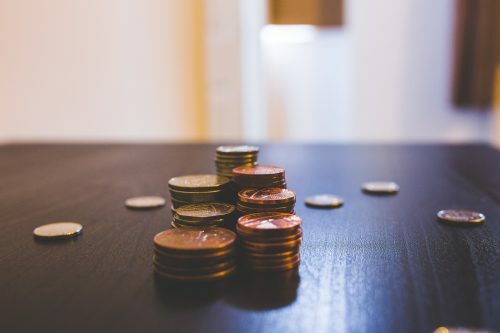 Are lower payments really that important long-term??? As readers pointed out, the monthly payment problem is a short-term thing. Hubs has started working again (albeit part-time – he’s a personal trainer), but his income is already picking up as he’s gaining clients. If he stays at his current place of employment, he will enjoy a nice bump in his hourly rate at the 6-month mark. For new readers, hubs recently returned to school full-time so he can switch careers. In only a few more years he’ll be graduating and entering into the full-time work force again. Meanwhile, this is our last year of paying for childcare (our twins are in kindergarten and although they’re in a state-funded charter school, the state only subsidizes half-day kindergarten so we still pay out-of-pocket for “full day” kinder.). We will have to get through the Spring semester and summer, but by Fall of next year (and “Fall” starts in early August at their school) we’ll only have childcare expenses for after-care, which is really negligible. We are currently paying about $30-40/week for after-care. That’s practically nothing compared to the full-time care we’ve been paying the past….oh….since they were born! (side note: they did childcare part-time from birth through age 3, and have been full-time from age 4-5. But even at only part-time, childcare from the time they were born up until this year has been our #1 largest monthly expense – even outranking our rent/mortgage). I decided to do a little investigating with my student loans in their current repayment plan (we’re in income-driven repayment). The plan is subject-to-change since it’s based on our income, but with things as-is, I figured out the “Paid in Full” date for each of my outstanding student loan balances. I have 7 loans in total, and their current “pain in full” dates range from December 2023 to August 2028! Now, I know that’s a very long ways off…..but remember half of the “pull” for me to do the PSLF was that it guaranteed an “end date” for my student loans. The end date would be 10-years. Well……as it turns out, my student loans are set to be fully paid within 10 years anyway! And that’s if I don’t get crazy and start paying way extra to get them gone sooner!!! I know the road ahead will be a long one. We still have a LOT of debt to get through. But, for some reason, seeing these end-dates made me feel hopeful. If they’re being projected at 10-years as-is, there’s NO WAY they’ll actually be around that long! We’ve got probably another tough 2-3-years ahead while hubs is in school. Hopefully we’ll feel a bit of a relief once our childcare costs go down and his income goes up from his personal-training raise. But once he graduates and re-enters full-time employment we should really start making some headway. If I look out another 7-ish years, well, all our personal debts (credit cards, student loans) should be gone and our mortgage will be low enough that we should be able to knock it out easily (we’re already in a 15-year fixed, as is, with 14 to go at this point). I’m 34 now. With a little luck and some hard work, by the time I’m 40 we’ll be totally DEBT-FREE and able to kick fully into savings-mode. It won’t be easy, but it will be worth it! What’s your Debt-Free date? 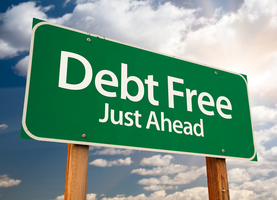 Are you already debt-free? How long did the journey take you?